Clarks Summit Gingivitis (Gum Disease) Dentist - Highly-Trained Periodontist in Clarks Summit for Periodontal Disease in Pocono, Tunkhannock, Scranton and Wilkes Barre PA Area with Joseph Kelly, D.M.D. Putting an end to gum disease. Friendly, gentle gum disease care. If you have swollen or bleeding gums, you may be suffering from gingivitis or periodontal gum disease. Fortunately, experienced help is available from Clarks Summit gum disease periodontist Joseph Kelly, Jr, D.M.D. Left untreated, gum disease can result in tooth and bone loss. But it can also affect more than your mouth; it can be dangerous to your overall health. Recent studies have linked advanced periodontitis to heart disease, stroke, and pregnancy complications. At Kelly Dental Care we are highly trained in all areas of periodontics care and we'll get you smiling again quickly. Call now for an appointment at (570) 587-4787 or just fill out our simple online form. Please don't hesitate to contact us if you have any questions. We are here to help, and look forward to speaking with you! Dr. Joseph Kelly, Jr and his friendly team are committed to helping your receive the personalized periodontic dentistry care you need. At Kelly Dental Care our staff is trained in the latest techniques. 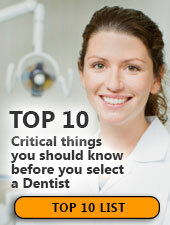 If you need to find a dentist contact us at (855) 695-7452 for a map, office hours and directions. We're looking forward to helping your learn about your options for affordable periodontic dentistry.